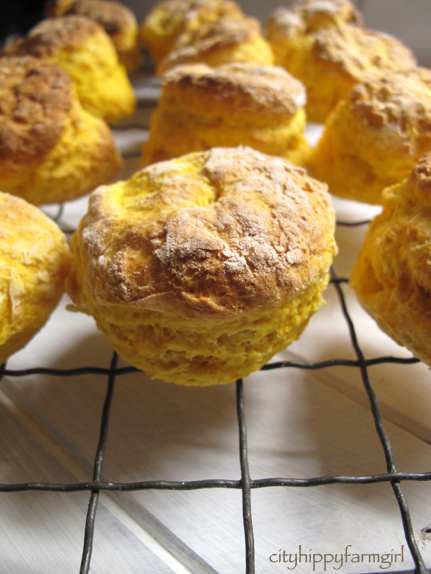 This entry was posted in Food Glorious Food and tagged afternoon tea, easy, frugal cooking, morning tea, pumpkin, pumpkin scones, scones, seasonal cooking, simple by cityhippyfarmgirl. Bookmark the permalink. Yummy, love good pumpkin recipes! Beautiful Brydie! I’ll add them to the scone roundup! hi there, long time not passing by. these are beautiful! did you boil and pureed the pumpkin? I have never done that would be fun to try. HI Barbara 🙂 Just steamed the pumpkin and mashed it up with a fork. 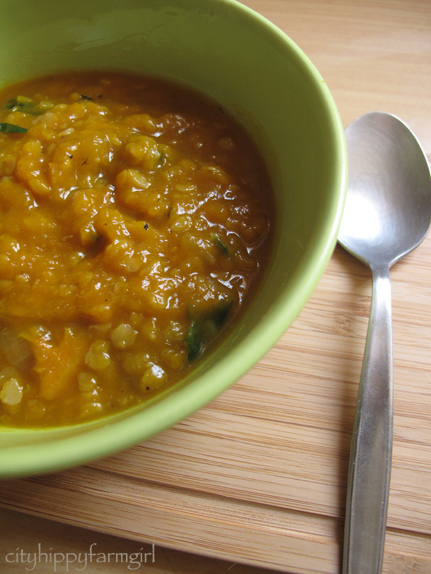 Pumpkin dhal sounds great, do you have the recipe for that too? and just switch the sweet potato to pumpkin. I also added some silverbeet to this one. Yum, must pick one up at the market next weekend! Look at your baby girl, eating mush already (and what wonderful mush it would be). Getting big so quickly. I love pumpkin scones but my mind has (foolishly) classified them as ‘hard’, by virtue of the initial pumpkin cooking step. Thus I never make them. I might need to work on that! Definitely not hard Kari. I did a mass steaming of it all and then divided it up for the various dishes. I use this one Bec as a launching pad for all things dhal. 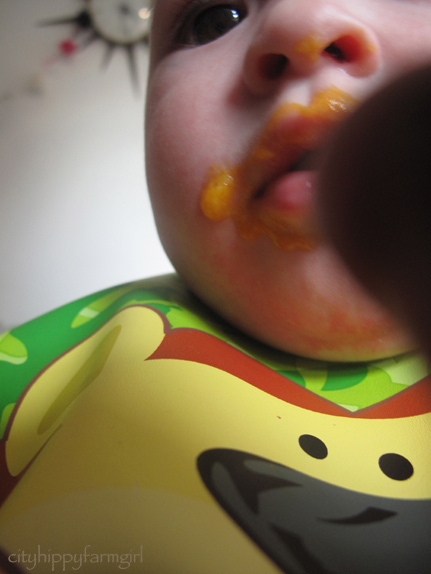 And your little darlin’ with pumpkin smeared around her mouth is so precious. What good use you put that pumpkin to. If I had ANY baking skills I’d be making pumpkin scones asap. Sadly, my baking skills are lacking so I make pumpkin soup instead. I love pumpkin scones! Infact I like most scones, mmmm scones. 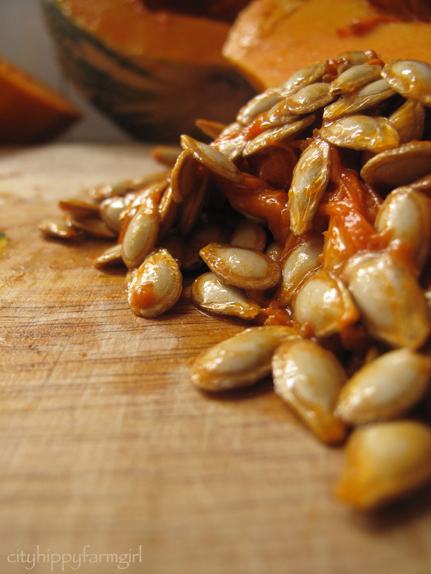 Hope you did something good with the seeds – not only are they delicious, but so good for the body too. Hey , great minds think alike, I did a pumpkin post too! It was sitting on the fence post for weeks waiting for me to do something with it. Love the colour of those scones , who needs food colouring ! 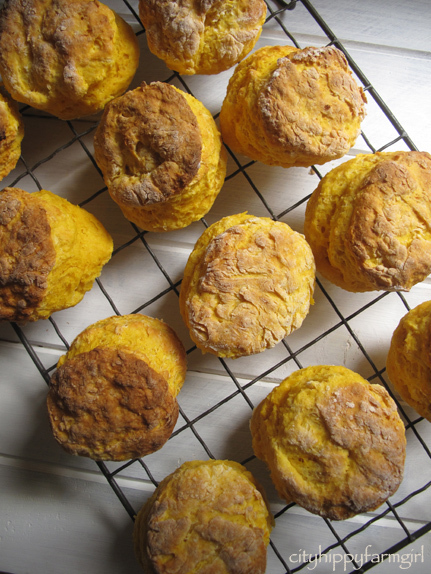 I can’t eat pumpkin, but these scones sound truly wonderful and I could substitute sweet potato I’ll bet! Judging by the look of the scones, it was worth the pumpkin wait.